The verdict: For $7.99 per pound, I don’t know why anyone would even attempt to make this from scratch. It’s tasty, and the filling is firm. One slice, ok about a quarter of this is a meal all on its own. They didn’t skimp on the seafood either. It wasn’t like eating a potato pie. There was potato, veggies and lots of seafood. All of which was tasty on its own. 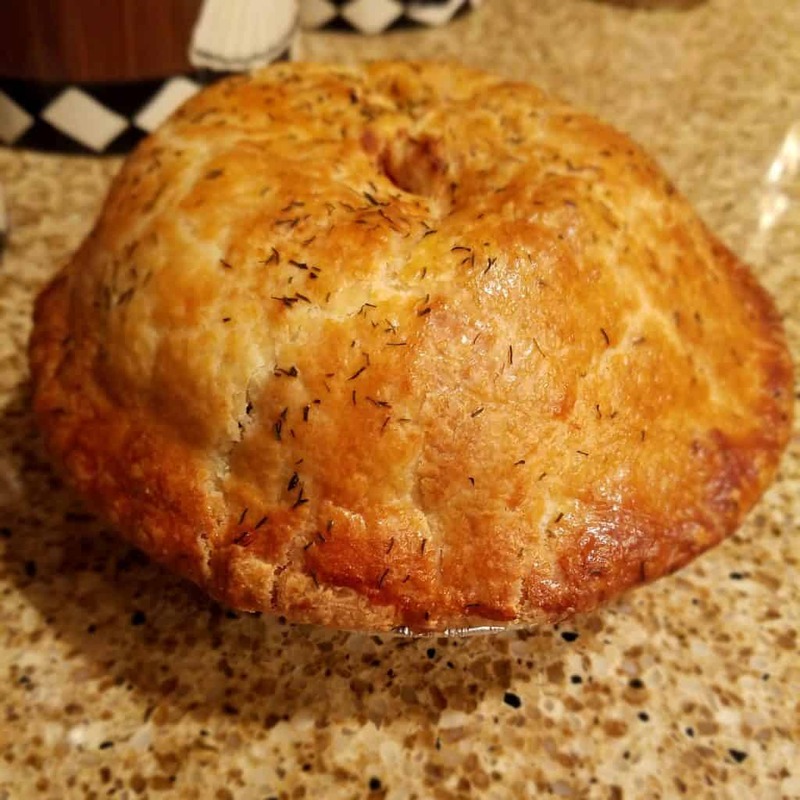 The pie crust is delicate, light and flaky. The only thing I can complain about was the fact that the directions for enjoying this were missing. I know pie crust has a tendency of burning so I was worried about putting it back in the oven, at what temperature, and for how long. I tried 300F for 20 minutes and it could have been in there for longer. If you like seafood, this was delicious and worth a try. This almost two pound pie was good for about 3 very generous servings. Would I buy this again? Yes, yes, and yes. This is the perfect one dish meal. Especially delicious in cool weather as it’s warm, filling, and hearty. 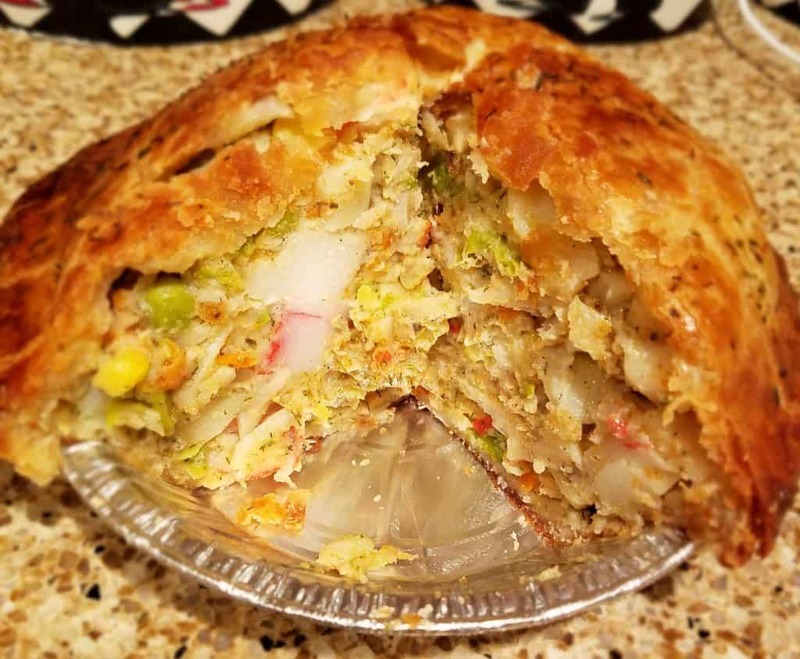 They sell other varieties of pies besides seafood. I’ll try them at a later point and report back. Not a lot of seafood in there, and a load of chemicals! A miracle if it tasted so good. If you look through the ingredient list it’s only the filling that has most of the “chemicals.” Those “chemicals” are emulsifiers which make the filling thick. But not all of them are true chemicals. Cellulose gum is wood pulp. Carrageenan is extracted from edible seaweed. 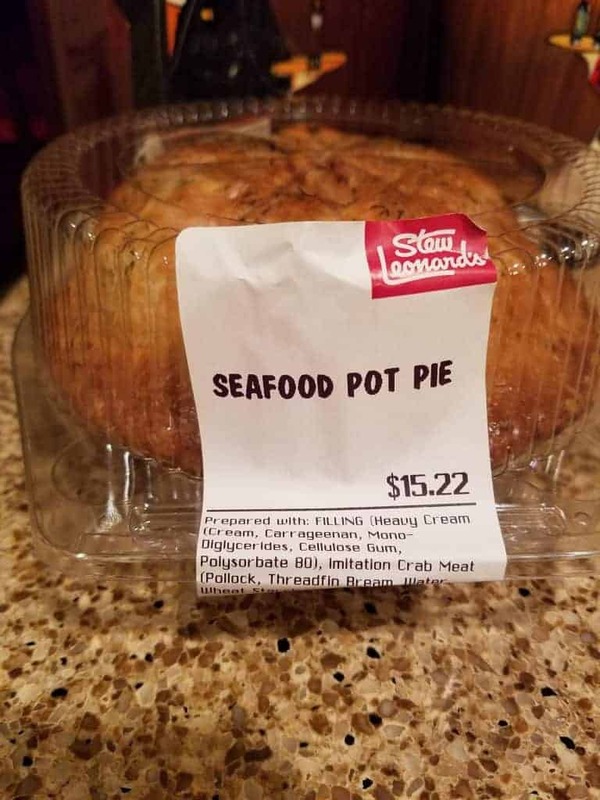 After they spelled out what they meant by filling, seafood was the second (Imitation Crab Meat) and third (Swai) ingredient.